Moscow was among the three most popular destinations for travelers departing from Riga and Prague in 2017, the two airports report. 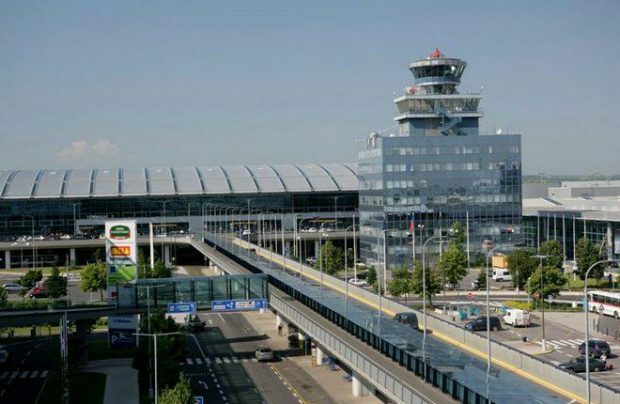 The Russian capital came third at Prague’s Vaclav Havel airport with 824,200 passengers served on flights to and from Moscow (up 22.9% year-on-year). This was the highest growth rate among the top five cities preferred by travelers from Prague, including London, Paris, Amsterdam, and Frankfurt. Russia in general was the fourth most popular country, with about 1.2 million passengers served (+24.6%). Prague’s overall 2017 passenger traffic stood at 15.415 million (up 17.9% from 2016), meaning that Russia accounted for 8% of that figure. According to the airport, the Prague-Moscow route is served by Russia’s Aeroflot and Rossiya Airlines, as well as the Czech Republic’s Czech Airlines and Travel Service. Like in the previous several years, Moscow made the top three of the most popular destinations from Riga airport with 493,800 passengers served between the two cities (up 11.5% on 2016). A Riga representative explained the growth by an 18.3% increase in transit traffic and a 9.1% increase in point-to-point traffic. Riga saw its traffic with Russia’s St. Petersburg climb 13.5% year-on-year to 132,500. Traffic between Riga and Kazan grew a whopping 40 times to 9,800 passengers, thanks to the April 26 opening of a direct flight by Latvia’s national carrier airBaltic. The other Russian destinations linked to Riga by direct services demonstrated a combined growth of 62.7% to 2,123 passengers. Total traffic between Riga and Russia amounted to 638,100 (+13.8%). Apart from airBaltic, flights between the Latvian capital and Moscow are also operated by Rossiya Airlines, RusLine (since March 2017), and UTair Aviation. Riga airport welcomed a total of 6.098 million passengers in 2017 grew (up 12.9% on the year before. A total of 3.523 million passengers were served by airBaltic (+22%).